Recently, we just finished up a series called Get Real in our middle school ministry. During the series we addressed major questions many people, including Christians, ask about Christianity. For example, “How do we know God is real?” or “If God is so loving than why is there so much suffering in the world?” The question I tackled a few weeks ago was “Is Jesus really the only way to God?” I want to share the main ideas from that talk in this post and hope to share why we can believe that Jesus really is the only way to God. A popular belief in our culture is that all religions are equal. Not only are they equal, but they all lead to the same place. Therefore, it doesn’t matter what religion, or path, you take, we will all end up in the same place. Some people may choose Christianity and if that’s works for them then it’s all good. Or some people may choose Islam, or some other religion, and if that’s best for them then it’s all good. We call this belief “religious pluralism.” You see this kind of thing pop up in things like the coexists bumper stickers. You know, those stickers that spell “coexists” with the symbols of different religions. As good as all this sounds, it couldn’t be any further from the truth. In John 14:6, Jesus makes a claim that goes against any claim that all religions are the same or that all paths lead to God. Jesus said, “I am the way, and the truth, and the life. 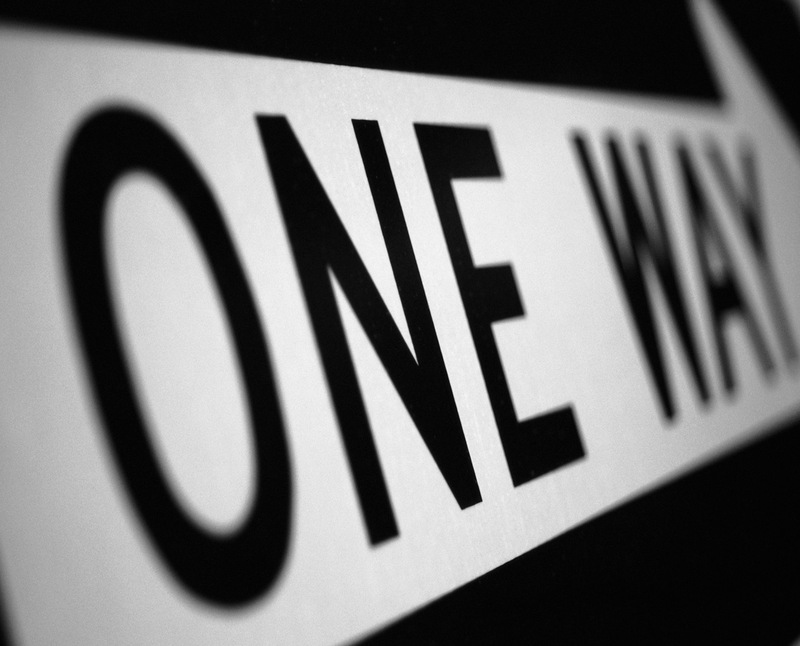 No one comes to the Father except through me.” Jesus claims that there is only one way to God and that’s through Him. How do we know that’s true? Let me share with you three other things that support Jesus claim that He is the only way. 1. Jesus is the only way God provided. In Matthew 26:36-44 we read about Jesus going to a garden to pray before He would be betrayed and arrested. Jesus knew what was coming. He knew He was about to be beaten, spit upon, and murdered on a cross as a sacrifice for the sins of the world. In complete agony He prays to the Father and asks Him if there is another way to do this. He asks God that if it would be His will, could He get out of doing this. But we see Jesus complete surrender and determination to follow God’s will. Jesus goes to God three times and basically asks Him if there is another way. And three times God doesn’t repond. There is no other way. The death of Jesus as a sacrifice for sin was the only way. God’s silence screams this truth from the pages of Scripture! Think about it, if God had another way would He really send His only Son to be nailed to His death on a cross? This sacrifice only makes sense if what we believe is true-Jesus is the only way! 2. Jesus is the only way that fixes our problem. Everyone enters this world with a common problem called sin. All religions recognize this is some way. They may not call it sin, but they realize this world is broken and things are screwed up. So all religions, or paths to God, try and fix this problem. Some try and say that all we need to do is be better, try harder, and hope our good outweighs our bad. Sadly, all religions, except Christianity, just puts a band-aid on our problem. Only Jesus actually fixes the problem. How does He do that? He becomes a curse for us and take our sin upon Himself. In exchange we get His righteousness which means we continue as if we have never sinned. We are justified and stand before God perfect because of Jesus. 2 Corinthians 5:21 explains this great exchange to us. 3. Jesus is the only way transforms our life. No one actually experiences life change outside of Christianity. All other religions don’t change a person. In actuality all they do is become an “add on” to someones life. But Jesus comes and gives us a new start. The Bible calls this being “born again” or the “new birth.” We literally go from death unto life and experience a whole new life. 2 Corinthians 5:17 says, “Therefore, if anyone is in Christ, he is a new creation. The old has passed away; behold, the new has come.” No other religions can make that statement. In their book Red Like Blood, Joe Coffey and Bob Bevington tell a story about a situation the famous evangelists Dr. Ironsides found himself in. At a Salvation Army event, Dr. Ironsides was called to the platform to share a few words. On his way up, a outspoken atheists started making remarks and yelling at him. The atheist called Ironsides out for a debate between Christianity, which he claimed was false, and atheism. Ironsides looked at the man and said this: “Yes, I will debate you this Saturday morning. But there is one condition. You bring one person whose life has been transformed by the power of becoming an atheist and I will bring fifty ex-alcoholics and fifty ex-prostitutes whose lives have been transformed by the power of Jesus Christ. And then we will debate.” Christianity is the only religion that has to power to change a life. All religions, or paths, to God are not the same. There is only one way and that is through Jesus Christ. That is the only way God provided, fixes our sin problem, and brings transformation. No other ways to God claim those three things. Click here to view my speaking page where you can hear the audio of this sermon as well as other sermons I have preached in the past.